Cravings!!!! I don't get cravings that much but when I do it's always of something very pricey for what I earn. I crave for makeup a lot and it makes me hoard too much but last night I had a craving for Japanese bento meals. No idea why but it must have been because of watching too much Asian variety shows where they cook things so deliciously looking. To cut the story short on my way home yesterday I decided to drop by at the nearest and one of the best Japanese resto that I know of, its Rai Rai Ken located at SM Bicutan. 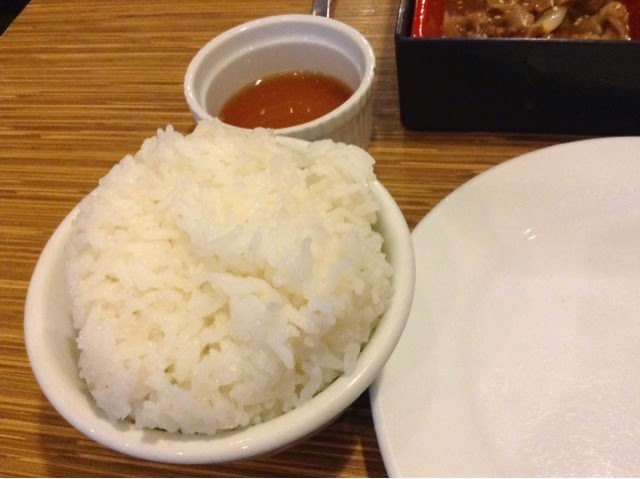 :) Rai Rai Ken has been one of my go to places whenever I crave for something authentic Japanese food. 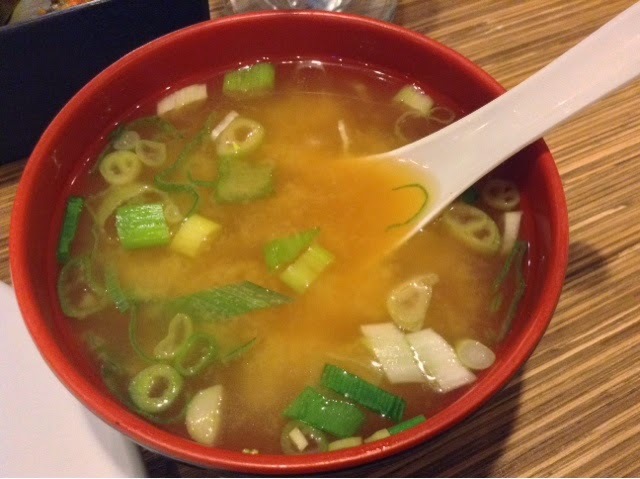 Their Miso soup is one of the best and savory as well as the rice that they offer which is very much bountiful. 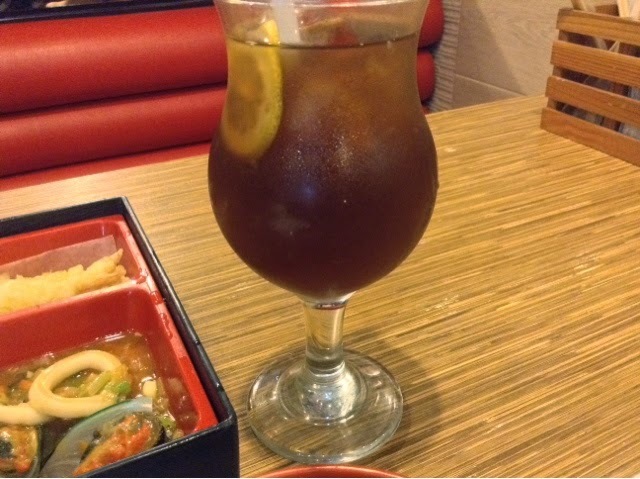 The bento mean that I ordered is the 3 Kinds Bento set for 340pesos and for beverage I opted for the House Blend Iced Tea. The serving is quiet big but because I am so much craving I finighed it all in a splash. 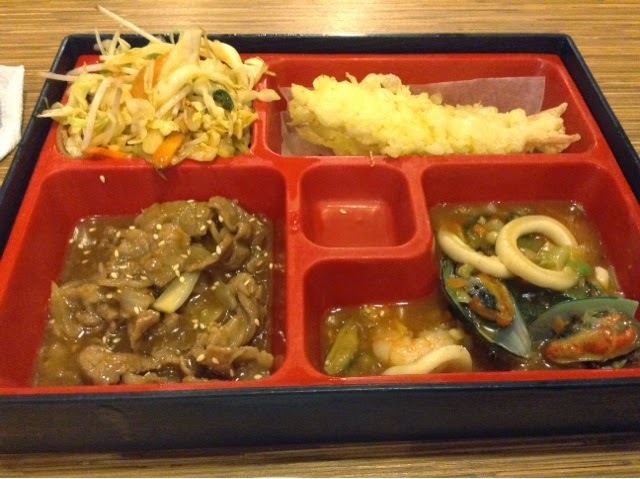 The 3 Kinds Bento has beef, mixed seafoods and tempura with a mixed vegetable as side dish. It is truly an overflowing meal. And of course the delicious miso soup which has some authentic tofu slice inside with onion rings to add spice and flavor. That's it for my post everyone. Hope you can visit Rai Rai Ken. This is one of the meal in the menu that I recommend. It is actually good for 2 in my opinion. 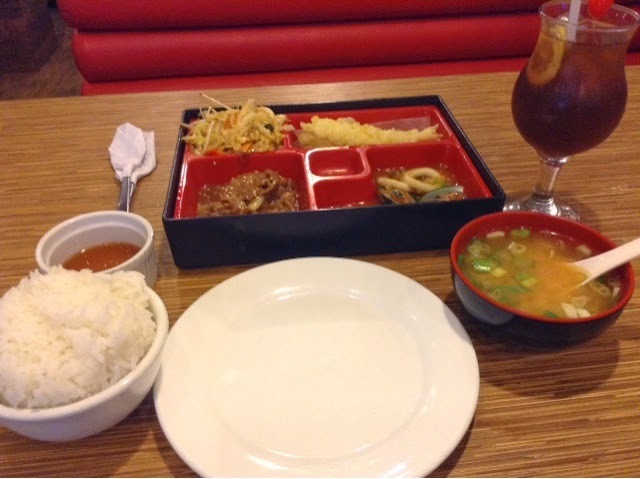 :) A meal fit for Japanese enthusiasts out there. BACKLOG: Videos You Might Want to Check out!! !